I Don’t Do Fashion. I Am Fashion. 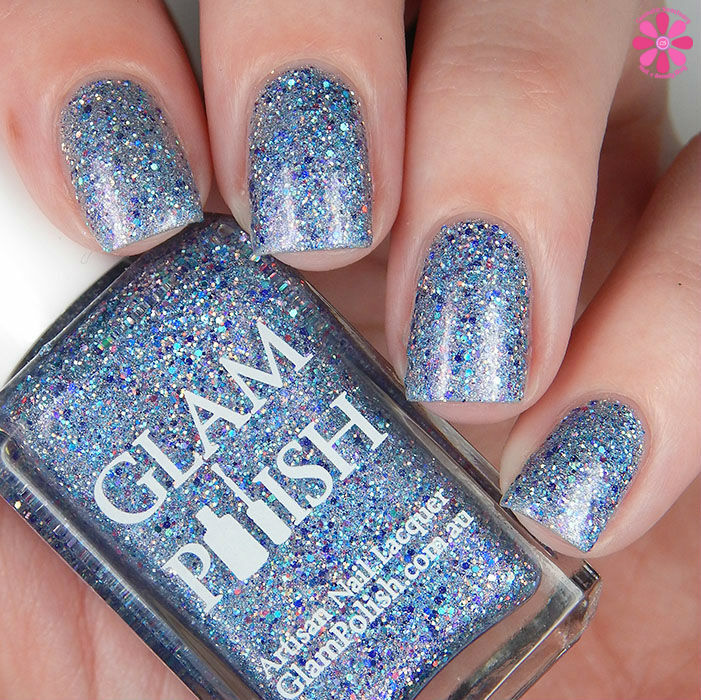 is a shimmery bold blue with a hint of holographic microglitter. 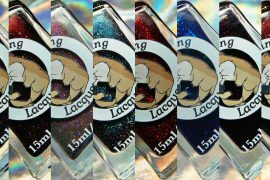 I used 2 coats and a glossy top coat for these photos. 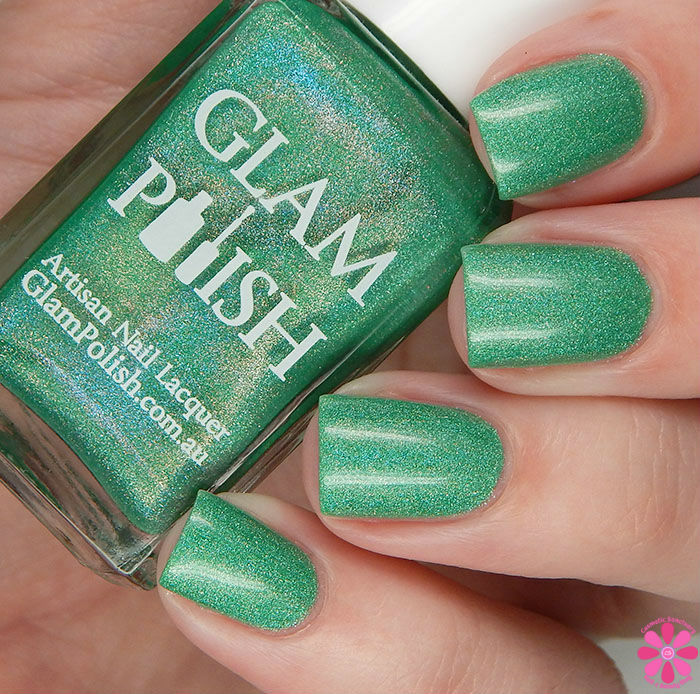 Attitude is Everything is a bright seafoam green intense holographic. I used 2 coats and a glossy top coat for these photos. Gotta Have It! Make it Stop! 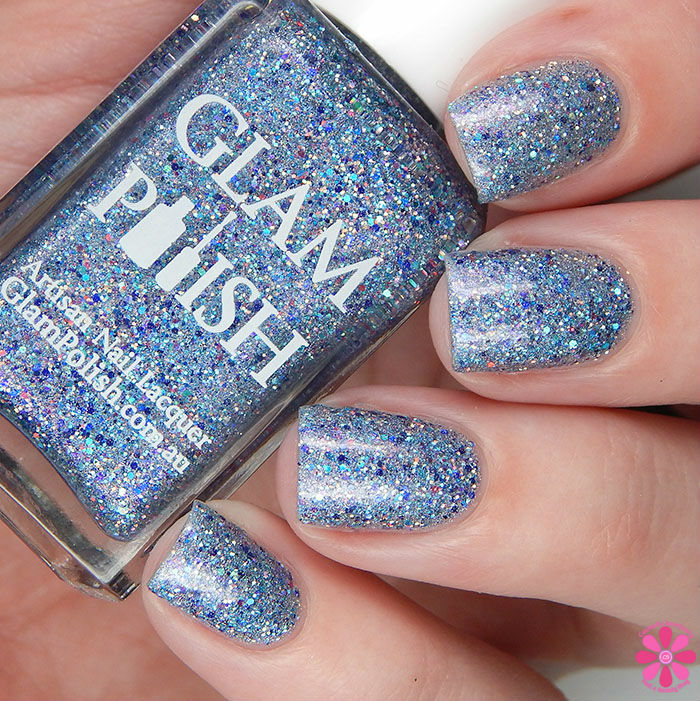 is a holographic silvery blue base packed with sparkling multi colored microglitter and tiny violet flakes. I used 2 coats and a glossy top coat for these photos. 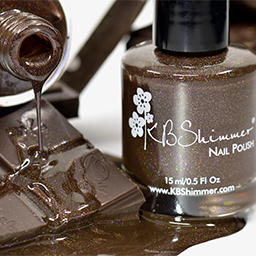 This one has a slight texture to it, so you might need to double up on top coat. 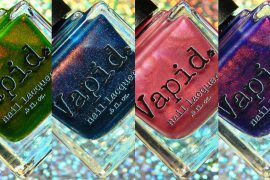 So I’m jumping into some nail art and I used a few colors from this collection for it. I received a lot of vinyls to play with! For this mani I used OPI Let’s Be Friends as the base, applied Whats Up Nails Droplets Vinyls and sponged on a vertical gradient of Starlet or Streetwalker? and Can You Please Spell “GABBANA” and was really happy with the overall look! If you follow me on social media, you saw this nail art already! 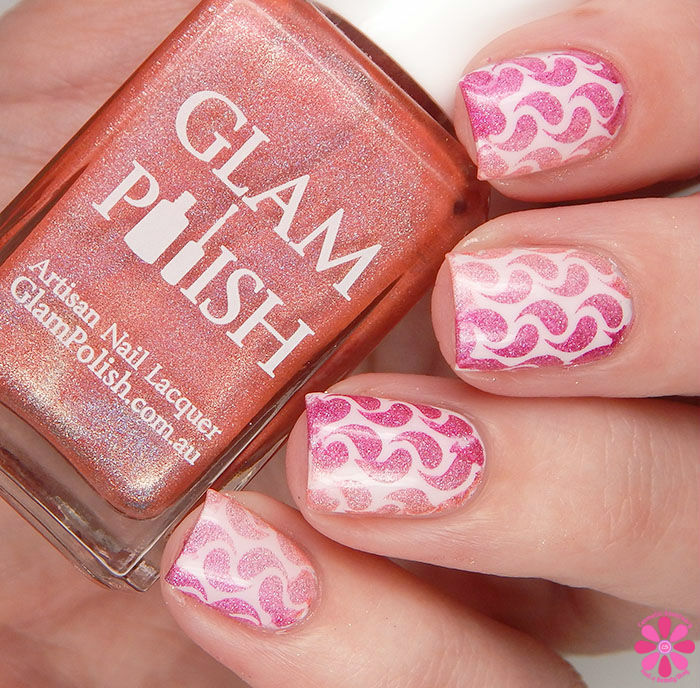 The second look I did is a base of Pahlish Draw Me A Sheep and I made the design using ViNailicious Marbled V design and I sponged What Exactly is She Wearing? over. Again, happy with the look and it was fun to create! 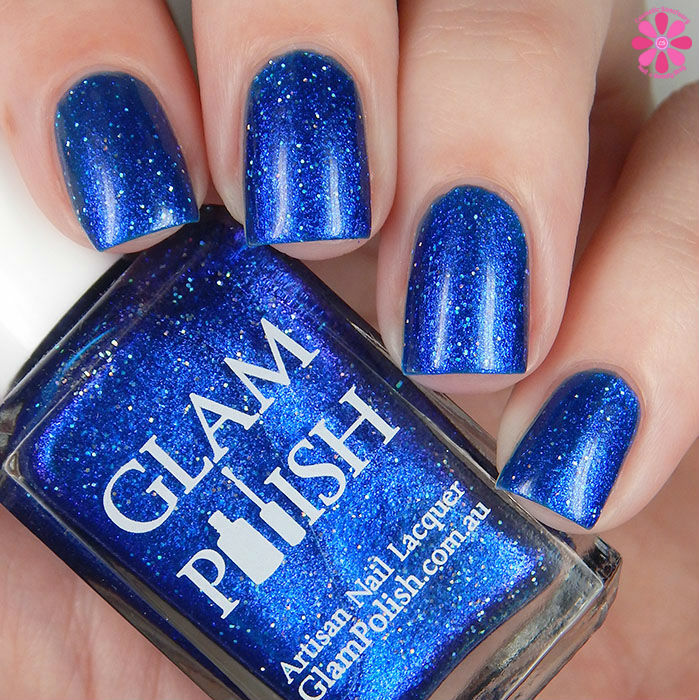 Another beautiful collection from Glam Polish! I liked the mix I received and have some more nail art ideas kicking around for them. I had no application issues to mention. Just keep in mind that What Exactly Is She Wearing? and Gotta Have It! Make It Stop! have a little more texture to them due to the glitter. 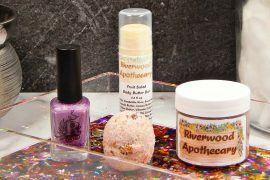 USA Shipping starts at $3.50 for the first polish & $1.00 for each additional polish. 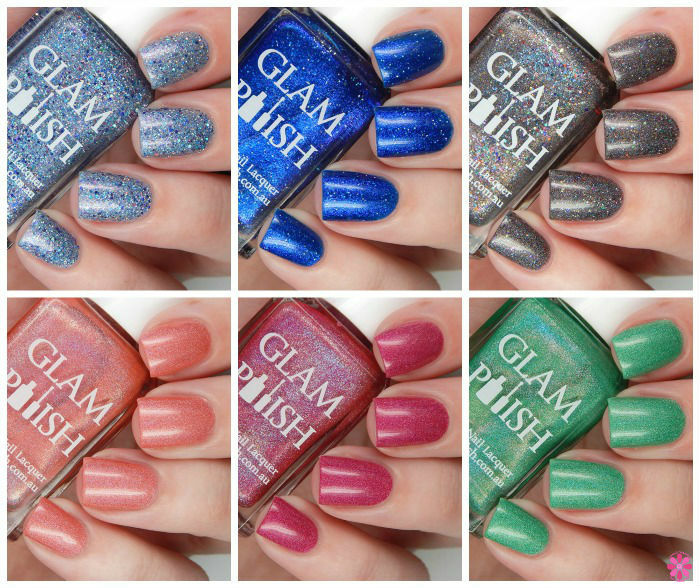 Keep in mind, this Friday Glam Polish is releasing these 6 shades, plus 3 more that complete the Glam Polish Queen Of Mean Collection AND a Clueless inspired trio. Get those wallets ready! These are all amazingly beautiful! I love the names!! My favourite would be Gotta Have It! Make it Stop! 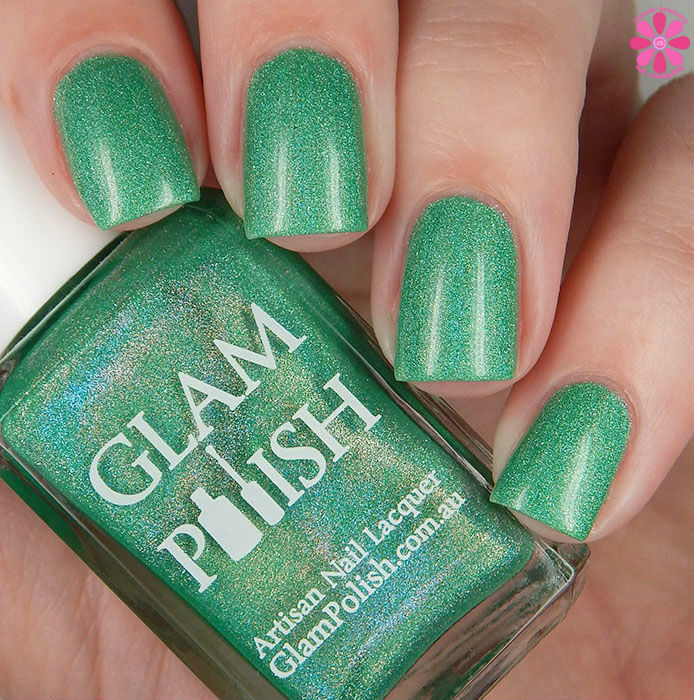 because I think it’s the signature finish of Glam Polish. I adore your first nail art, so flawless! THOSE NAIL ARTS! They melt my heart. Oh, be still my heart. These are stunning! Ooh I loove these! Especially What Exactly is she Wearing and I don’t do fashion, I am fashion! 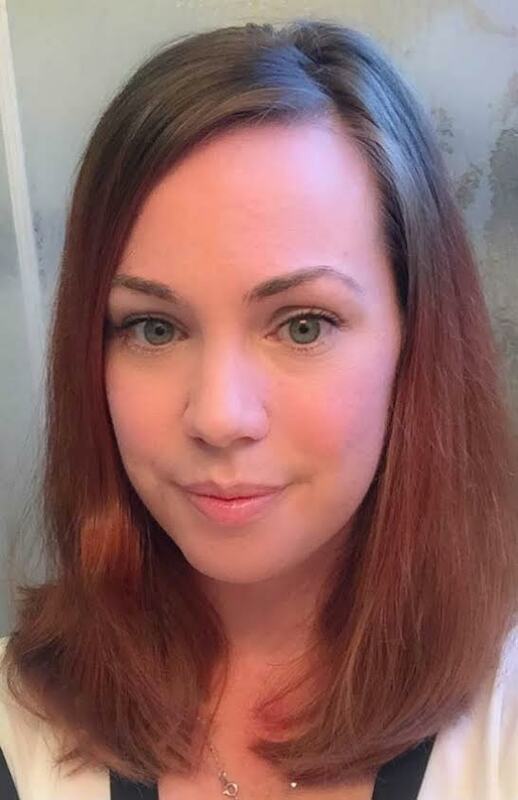 I really like the way these look on you! Such fun shades :). 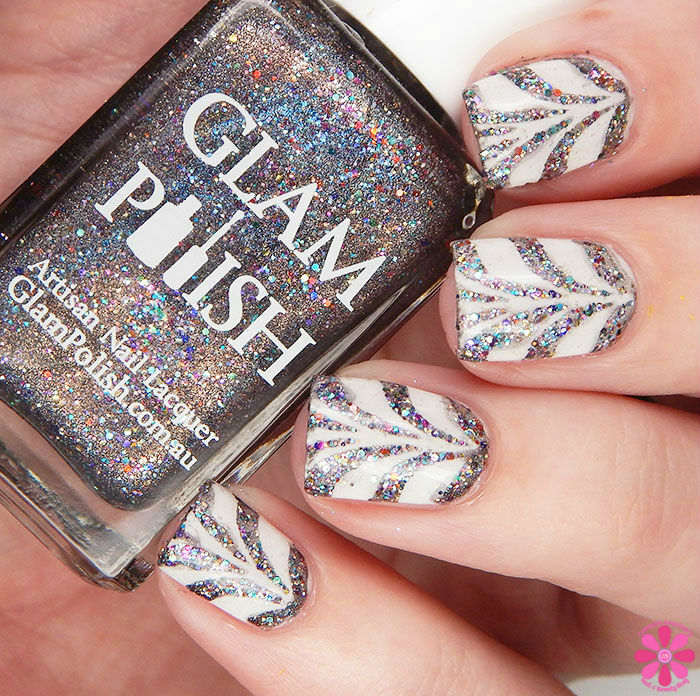 These polishes are stunning!! Your nail art looks amazing too! This collection is . I love your squigly nail art.